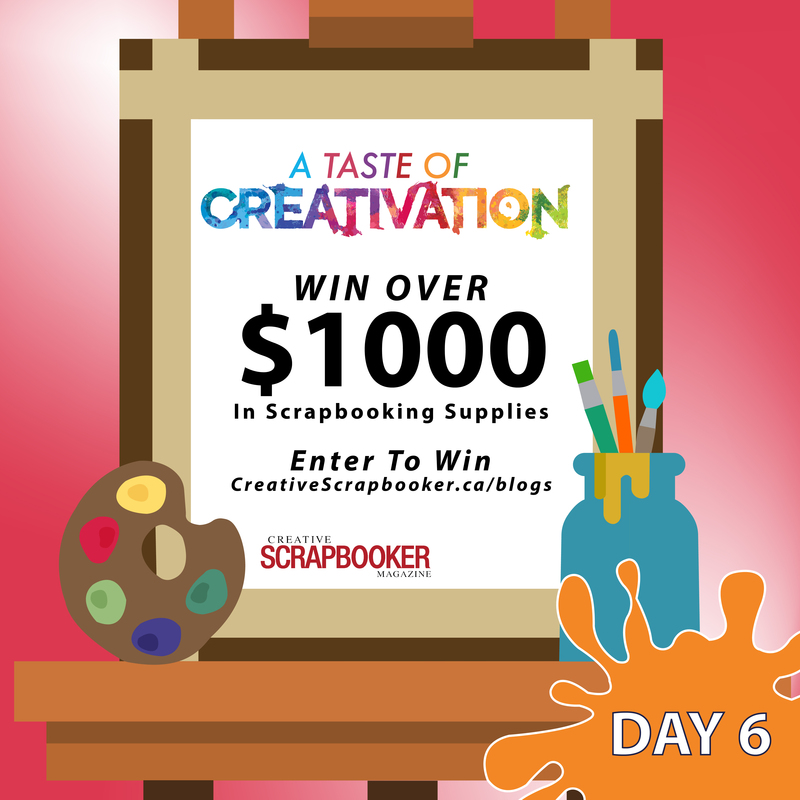 It is DAY#6 – Thank you to today’s sponsors-The Crafter’s Workshop, Pebbles Inc., Quietfire Design, Magenta, and Shop the Hound. An assortment of high quality, gorgeous, intricately designed stencils from the wonderful people over at The Crafter’s Workshop. 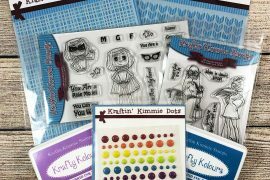 We love the durability of The Crafter’s Workshop stencils and know you will be HOOKED once you try this sample of the products they develop. #2 – Pebbles Inc. The Oh Summer collection by Pebbles Inc. for American Crafts is filled with double-sided patterned paper, washi tape, Thickers, stickers, mermaids, lemons, ice cream and all things we love about summer. This prize package will brighten snowy days! #3 – Quietfire Design The winner of the Taste of Creativation Giveaway is going to receive this beautiful collection of sentiment stamps from Quietfire Design. These stamps are perfect for card making and for adding a sentiment, title or journaling to your scrapbooking or art journaling projects. #4 – Magenta An assortment of stencils and stamps from Magenta will be included in the Taste of Creativation prize package. Check out that gorgeous pineapple stencil! LOVE IT! “No organizing project is more daunting than photographs, and no one is better equipped to walk you through the process than Cathi Nelson!” —Julie Morgenstern, New York Times Best-selling Author Our photos. They are the keepers of our most precious memories and the tellers of our most cherished stories. But in the digital age, and when free time is nonexistent, organizing your photos – the thousands stored in shoeboxes under your bed, in fading photo albums, and on your phone – is a daunting task! In Photo Organizing Made Easy: Going from Overwhelmed to Overjoyed, professional photo organizers share their eight, doable steps to help you organize, maintain, and most importantly, enjoy your photos. You’ll learn how to tackle the challenges of time and technology, have access to trusted resources when you need a helping hand, and benefit from expert advice. We are a people of stories. Taking the time to organize your photos is a priceless investment and a gift your loved ones will treasure for generations to come. The “Shop the Hound” link takes you to Instagram instead of Facebook. Done! Thank you for this opportunity! Already thinking of projects to make with these products. LoVe THeM! Done. Thank you for the contest. I could see using everyone of these items in my crafting room. Done … thank you all for this giveway! Done….I don’t know about anyone else but when I clicked on the shop the hound link I would be taken to…familyhisthound instagram…..but I an following and like them. Done … hope I have entered the contest correctly!!! I watched the video’s of Creativation with interest. There were so many beautiful new products being introduced! It would be so fun to play with some of them. Thank you for the opportunity to do so. Done. The “Shop the Hound” link takes you to Instagram instead of Facebook. Done✅😊🎊lots of great prizes!! Thanks again. Done – another wonderful day. That was supposed to be DONE. Another great prize giving day! Done! Followed shop the hound on Instagram because that’s where the link took me. Love the pineapples by Magenta! All done! Another batch of fabulous sponsors today! Thanks for the chance to win. DONE!! Thanks so very much. Big fan of this magazine!eoujd love to win! Done. Thanks for another day of wonderful sponsors. DONE –Another good informative day . Could not find a spot to comment on Shop the Hound but will have to check into them more as I love searching ancestry of the family. Done! Another day of great prize opportunities from awesome companies! Fabulous prizes. Thanks for the chance C S. And big thanks to your sponsors. Done – except I am not doing Instagram. Done for all except shop the hound. It is linking you to Instagram. shop the hound doesn’t connect to fb, but to Instagram. Done! Such great sponsors and fun prizes! Day 6 done. Couldn’t enter for Shop the Hound as it goes to an Instagram account and I don’t have one of those. Creativation is right! So many great ideas on these websites/Facebook pages! Done and I love looking at all these things to get ideas for my work. Thank you for the links to all these companies, and for inspiring me to follow them! Done! Dreaming and Drooling over this package! FYI – Says to follow Shop the Hound on Facebook. Link takes you to Instagram not Facebook. More bad weather heading our way, its the little things that keep me going when we are being buried in snow and its so cold out your eyes over flow with tears that freeze on our faces. This isn’t a little contest, but the opportunity to enter and dream, it definitely brightened my day. Done and having a tonne of fun! DONE!! These companies are amazing!! Loving see whats out there!! Done! Almost missed this one! DONE! You folk blow me away! I love seeing all of these great sponsors. Done! Thanks for doing this! I’m learned about a lot of companies I’d never heard of before! I just placed an order with Magenta! DONE and thank you CSM and all the sponsors! Done. So many ideas, so little time to craft. Done… love the info on companies I didnt know about… i.e. History Hound. Done! Thanks for a chance to win some awesome products! Done! Lovely and thank you for sharing.